. Last edited 10:56 24 Mar 2017. OPEC’s output deal surprised the market and left it sceptical about compliance—we expect 80%, with the GCC states leading the charge. OPEC’s real aim is to accelerate the drawdown of the inventory overhang and, hopefully, improve price prospects to boost Capex spending and help stave off a damaging price spike down the line. Don’t rule out an extension to the deal in May. We retain an anti-consensus view that non-OPEC supplies will slip by 0.1 mb/d this year, despite several new fields starting up. Analysis of two-thirds of non-OPEC fields shows unsustainable depletion rates as producers have ramped output to offset the low price environment. Rising Capex would help, but such spending is set to fall for a third straight year, an all-time record. The potential response of US tight oil to rising prices has dominated the oil headlines, and we expect the 0.50 mb/d y/y rise in 2017 US liquids output to be mostly made up by NGLs and crude (0.21 mb/d) and led by Permian growth at 0.3 mb/d. This rise will help offset falls from the Gulf of Mexico and the once-soaring Eagle Ford, but not the OPEC and non-OPEC production declines elsewhere. With OPEC cuts set to focus more on medium and heavy sour crudes, this market will tighten further thanks to demand from Chinese refiners and the SPR for grades in short supply at home due to reduced output. Fuel oil’s strength will add to this tightening, while the weakness of naphtha will weigh on lighter grades. But narrower light-heavy spreads will incentivise switching where possible. OPEC’s output cut could ease Asia’s price-driven stockpiling surge, led by China and India, which by mid-2017 will have together mopped up 450 mb for commercial and strategic storage since 2014. SPR buying will still continue though, with planned (US) and potential (Japan) draws in 2017 more than offset by 80-100 mb of additional fills from Asia, including from Indonesia, Korea, and Malaysia. 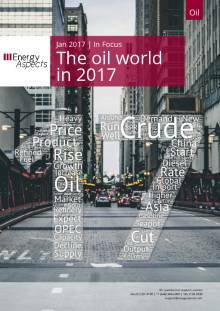 Subdued growth in 2016 will brighten a little in 2017, with the US leading economic expansion, Brazil and Russia recovering, and oil demand growth up by 1.4 mb/d y/y. With monetary policy’s flame largely burned out, the torch is passing to expansionary fiscal policy, but the shifting and uncertain political landscape clouds the outlook and suggests weaker growth further ahead. Diesel has suffered a few tough years, hit by slowing Chinese industrialisation and the fading growth in commodity exporting nations that followed. 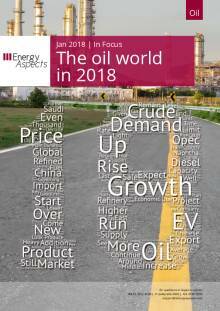 But with expansionary fiscal policy coming to the fore in 2017, diesel demand is set to grow by 0.5 mb/d y/y, driven by a colder winter, recoveries in US drilling and Chinese mining, and large-scale infrastructure spending funded by Beijing. Top-of-the-barrel fortunes will diverge further in 2017, with gasoline supported by the expanding Asian middle class while naphtha continues to be displaced from the European petchem sector by cheaper LPG, which itself is now pushing against normal boundaries. This means a structurally wider gasoline-naphtha spread and that more naphtha can make its way to the gasoline pool. With global CDU additions expected to add 1.03 mb/d in 2017, led by Asia, global export refining margins will come under renewed pressure just as crude prices start to rise as OPEC cuts reduce the overhang. USEC refiners will be the worst hit, and much will depend on structurally short LatAm and Africa to mop up supplies in order to ease the challenges for European refiners. Despite rising crude prices and increased government scrutiny, China’s independent ‘teapot’ refiners should be able to weather the storm. We expect their crude imports and runs to increase in 2017 by another 0.20-0.40 mb/d y/y, having risen by 0.65 mb/d in 2016. The real impact will be felt in the products markets as surplus barrels will have to find their way out of the country. 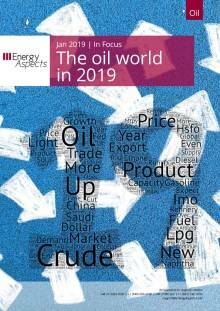 We use this 'In Focus' to identify and analyse six themes that we believe will shape the oil worl..
We use this 'In Focus' to identify and analyse 10 themes that we believe will shape the oil world.. The Chinese economy will slow further in 2016. The correction in the real estate markets, and gov..